Before the storm strikes, make sure your home, office and vehicles have the supplies you might need. 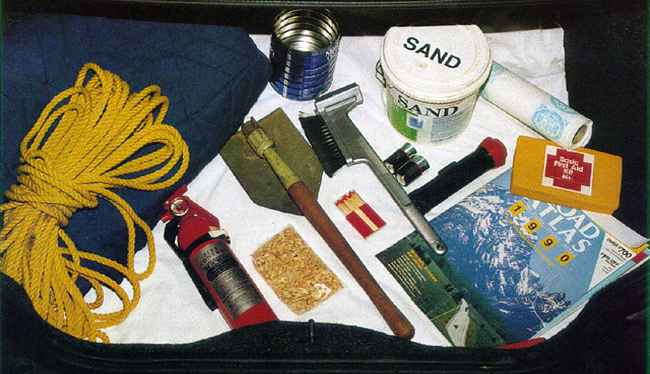 Make sure farm animals and pets also have the essentials they will need. Review generator safety. You should never run a generator in an enclosed space. Candle and matches. Not only will the candle provide light if your flashlight dies, it can provide lifesaving heat. Keep your gas tank near full to avoid ice in the tank and fuel lines. Avoid traveling alone. Let someone know your timetable and primary and alternate routes.